Whether it’s a wedding, vacation, business meeting or high school reunion, you want to look your best for the next big event. 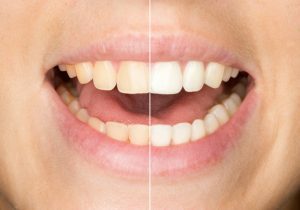 Perhaps you’ll buy a new outfit, or cut your hair, but have you ever considered whitening your teeth? You’d be surprised how whitening your teeth gives not only a boost to your smile, but to your entire appearance. Just like when you wear a new outfit that you know looks nice, your confidence will soar! Teeth whitening in Independence will give you and instant confidence boost. Discussing your whitening options with your dentist will help you determine if it might be the right option for you. It may seem more cost effective to choose an over the counter whitening system, however the professional whitening that your dentist offers does have some benefits that drug store options can’t match. First, the whitening gel that your dentist has access to is much more potent and a higher strength than what you’ll find at the store. This means less time whitening and more time enjoying your new smile. Next, your dentist will make custom trays that are designed to fit your teeth. This ensures a snug fit and helps protect your lips and gums from excess whitening gel. Over the counter options are “one size fits all,” which is sometimes hard to work with, and are typically only designed to fit your front six teeth. If you want your whitening to extend further back, you’ll need custom trays. Finally, it’s always advisable to whiten under the guidance of your dentist. He or she can discuss your goals and concerns with you to ensure that you’re using the right strength gel for your needs and achieving the results you desire. If you should encounter any issues during whitening such as sensitivity, your dentist can help guide you through the process, while with an over the counter option you’re on your own. At Independence Family Dentistry, Dr. Danny Nakhla is prepared to help you achieve the smile of your dreams so you can feel confident about your appearance at your next big event. We offer the Kör Whitening system in our office, which combines both take home trays and in office treatment that is designed to give you optimum results. Kör is known for eliminating even the toughest stains and discoloration, leaving you shades lighter with a long lasting result. To learn more about the Kör Whitening process, contact our office today.